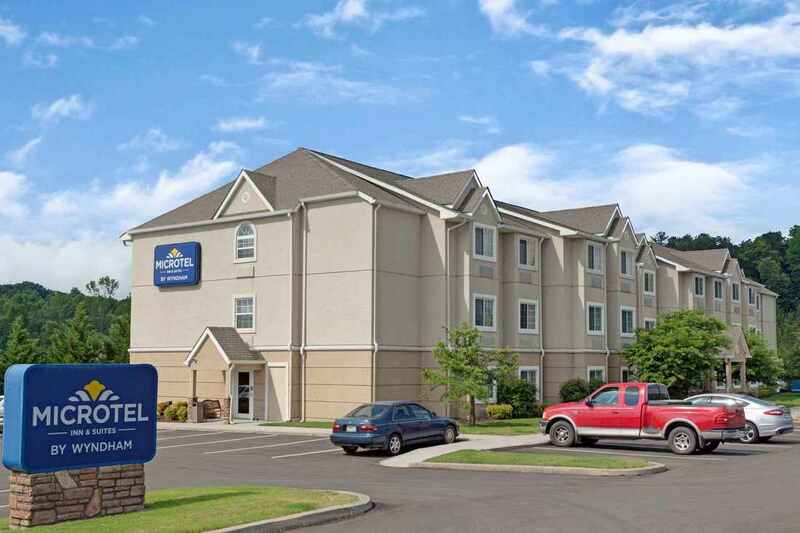 When the phone rang at the Cetis marketing office in Champaign, Illinois, Anna Saint, General Manager, Microtel Inn & Suites by Wyndham, Jasper, Georgia, was desperate to get her hotel phone system back in service after a recent lightning strike. After more than a week of phone calls and broken promises, Anna had finally decided to call the Wyndham Hotels corporate office vendor support line, and was pleasantly surprised at the results. ​Submitted by Adam McMullen, Assistant Marketing Manager, Cetis, Inc. 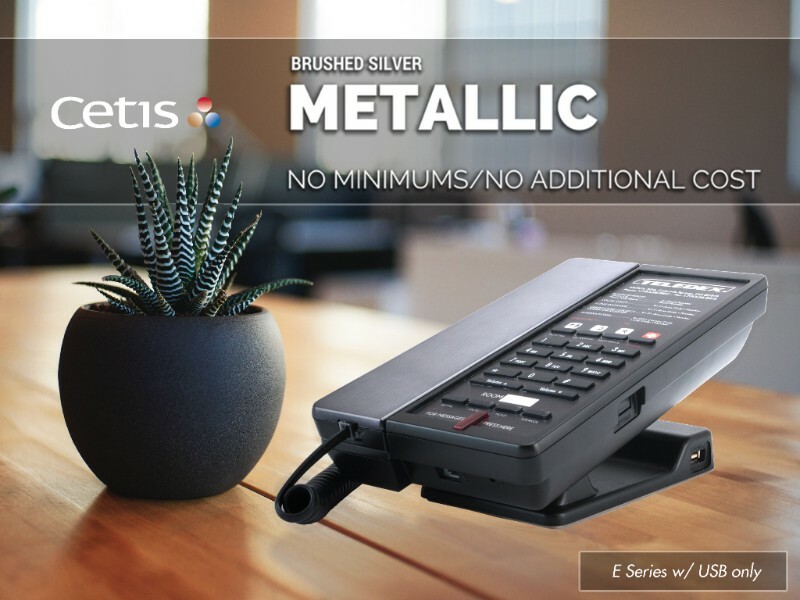 Available at no additional cost and without minimum quantity requirements, E Series desk sets and RediDock silver remote cordless handsets are designed to match the color and textures of contemporary smart devices and fixtures in your guest rooms. Choose single or 2-line analog, VoIP, corded, or cordless configurations with or without built-in USB charging ports. Get ready with Cetis analog and VoIP telephone solutions. Click on the video to view a day in the life of a typical hotel phone, and begin to re-discover the important role your phones play in helping ensure a positive guest experience throughout your hotel properties. In the lobby, hotel room, and common areas, your guests and staff require effective and convenient communications. Click here to review available Cetis phone models, and to request a quotation for your next renovation or new construction project. This may or may not look like your family, which is why Cetis offers 4 distinct VoIP hotel phone families and multiple models designed specifically to meet your individual design and technology requirements. 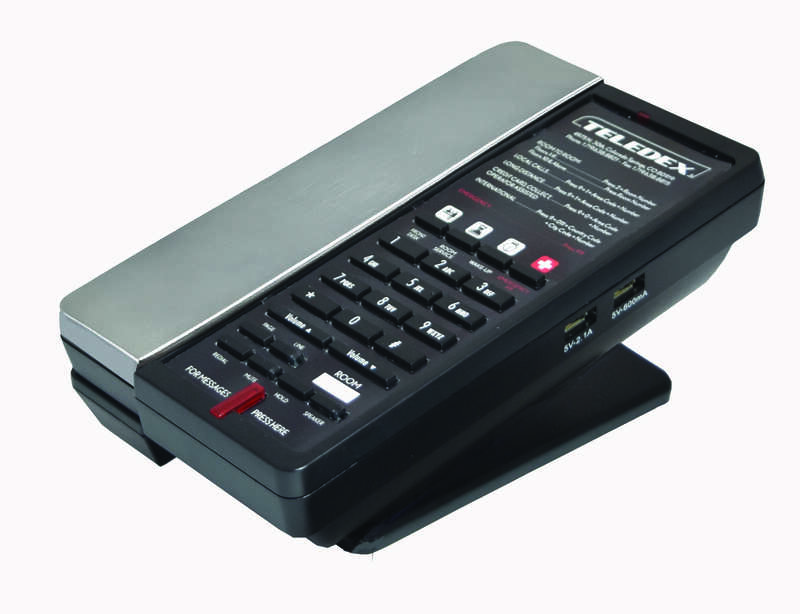 ​Choose from our Teledex M Series, E Series, I Series, and TeleMatrix 9600/3300 Series models, available in 1 and 2- line, corded, and cordless desk configurations with matching VoIP trimline, and RediDock remote cordless handset stations. 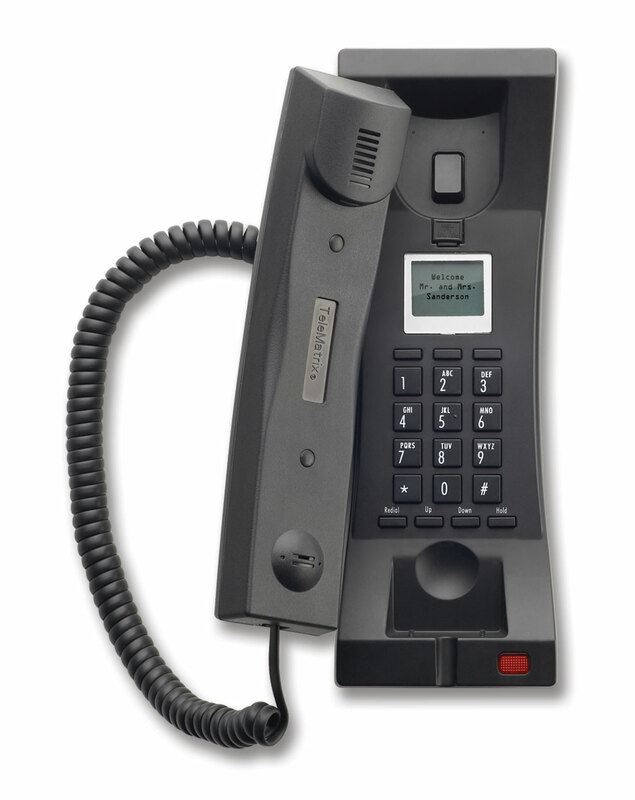 Still the most popular VoIP hotel phone family in the world, TeleMatrix 9600IP Series cordless and ﻿3300IP Series﻿ VoIP corded phones have a proven record of dependability, a rich feature set, and optional handset color accent inserts. 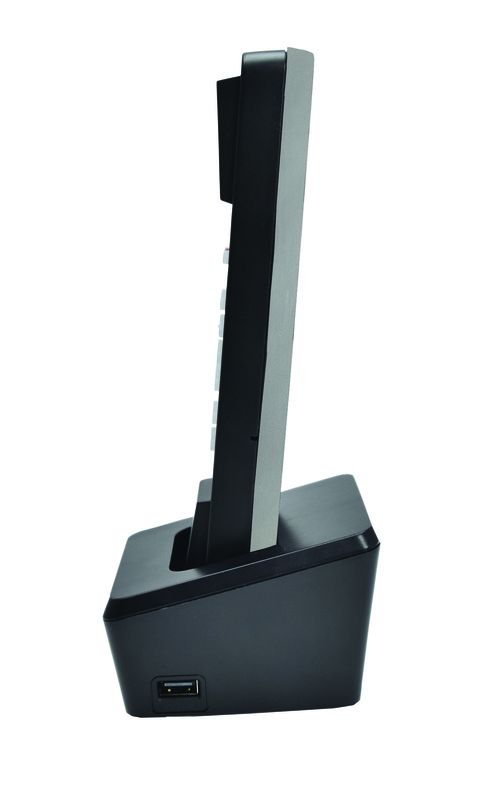 Available in single and two-line Black or Ash desk sets with matching 3300IP-TRM trimline, choose 5 or 10 programmable guest service keys in 1.8, 1.9, or 2.4 GhZ frequencies with AutoSync automatic remote cordless handset pairing, optional battery backup for power outages, patented OneTouch voice mail retrieval, RJ45 Ethernet PassThrough port (3300 Series), and optional handset color inserts in 7 standard or custom colors and matching cordless handset kit charging stations. 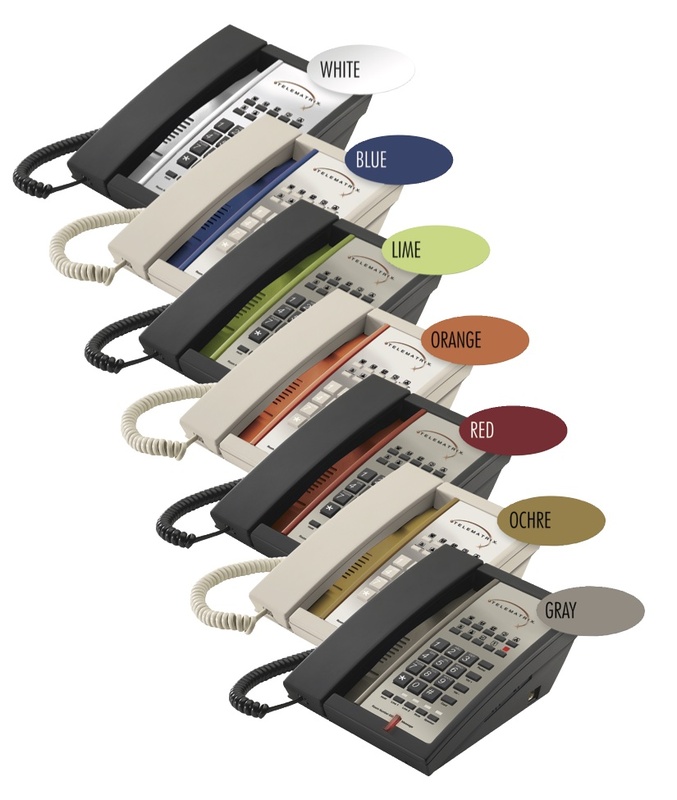 Complement your hotel brand colors, or simply add a touch of color accent with your choice of 7 standard or custom handset color inserts. 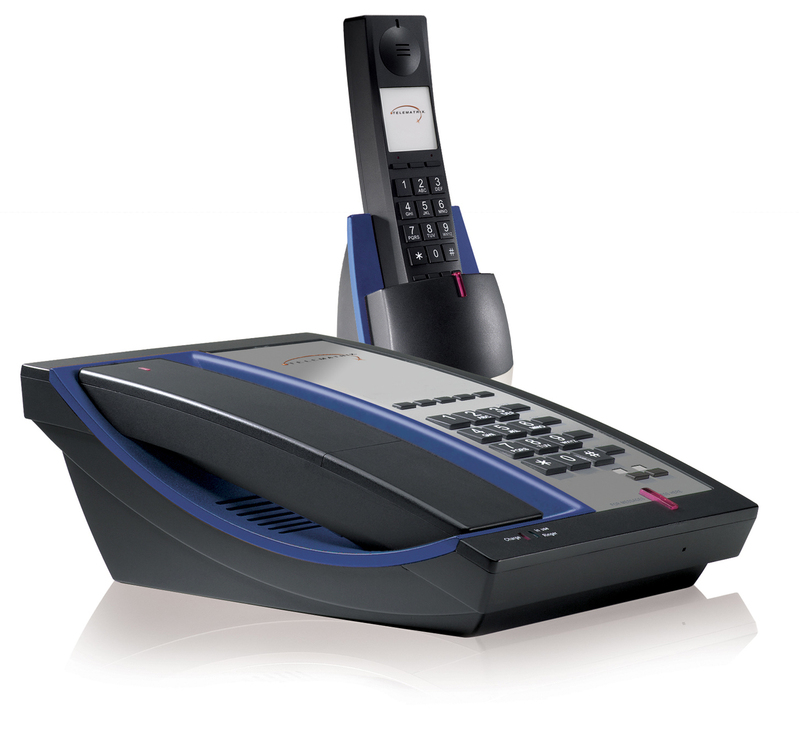 Choose single or two-line VoIP cordless and corded models and 3300IP-TRM VoIP trimline. Click here to request a quotation for your next property renovation or new construction project. Recent hospitality industry research confirms that guests are bringing multiple mobile devices into the guest room. By definition, mobile devices need to be charged, and re-charged, which is why Cetis offers USB plug-in port solutions designed to meet the emerging requirements of your business and leisure guests. Providing the convenience of USB charging for your guests is good business. Keep guests coming back and drive return reservation revenues with Cetis guest device USB charging solutions. Click here to explore solutions, and to request a quotation. Why selling all rooms by feature works. Selling features requires continuous predictive room assignment far into the future. Believe it or not, we can change this industry for the better and still properly provide availability to all the necessary parties (OTAs, GDSs, and so forth). 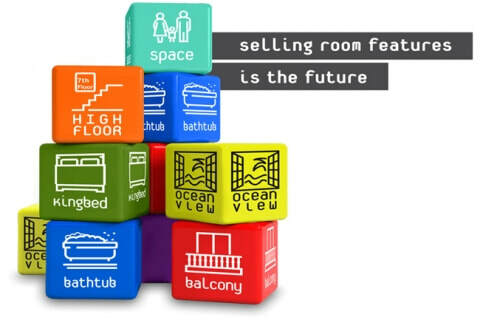 Among the most impacting changes hotels can make right now is to sell rooms based on features: bed type, top floor/bottom floor, view, balcony, and so forth. 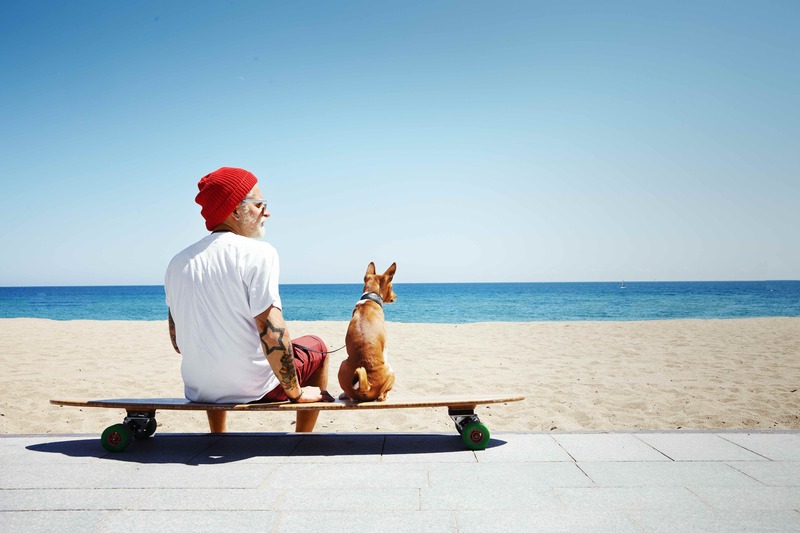 Trust me, travelers want this far more than they want that new and improved mini bar or that mobile app. Meanwhile, hoteliers are beginning to realize that they have lost ownership of their rates, but they still need to be the masters of their inventory and availability. And if travelers demand specific features there is a way not only to monetize these, but also in the process make the booking flow simpler and more efficient, giving guests a real incentive to book directly. ​Selling features requires continuous predictive room assignment far into the future. Contrary to general belief, this is fully compatible with current distribution systems. Why? Because the CRS is not the master of availability that hotels often fashion it to be. This belief is simply a by-product of our emphasis on distribution. If you think about it, the PMS is the only place that houses all categories of information about rooms—room blocks, reservations, out of order, housekeeping status, room number occupancy, overbooking limits, and allocations. And it makes sense that the PMS would house the most comprehensive information since it is connected to the actual hotel–you know, where the rooms physically exist. When you begin thinking of the hotel as the real master of availability, you realize that rooms are assigned in the PMS by hotel staff. An assignment that is done manually, is short-term oriented, and limited in scope and quality by our inherent flaws. Instead, the PMS can feed a room assignment system that will use projected future assignments to compute the true availability of rooms and features for all dates in the booking window. This feature inventory engine (FIRE) can then feed your online booking engine without any change to the OTAs, the GDSs, the CRS, and even the PMS itself. These simply continue to book as they do today and these bookings flow to the PMS and from there to roomPulse, where in real time, every reservation is temporarily assigned a room. Unlike in a manual system of the same design, this also maintains the full flexibility that is required in a constantly changing, and largely unpredictable environment. For feature selling to work properly, the hotel’s inventory must be viewed holistically, and room assignment is at the core of the process. Click here to read the entire article at Hotel-Online.